I love room/linen sprays. The sense of smell is a very powerful memory trigger and can bring back memories upon encountering smells associated with that event. I also like fragrances because pleasant ones are very relaxing. I always have a few candles and room sprays, which I light up or spray every night and when I need to relax. The people around me know my obsession with smell, and they usually buy me fragrances to add to my collection. I have lavender (my all-time favorite scent), aloe, dalandan, flowers, and green apple. This week alone, I added two more to my collection: citronella and lemongrass. 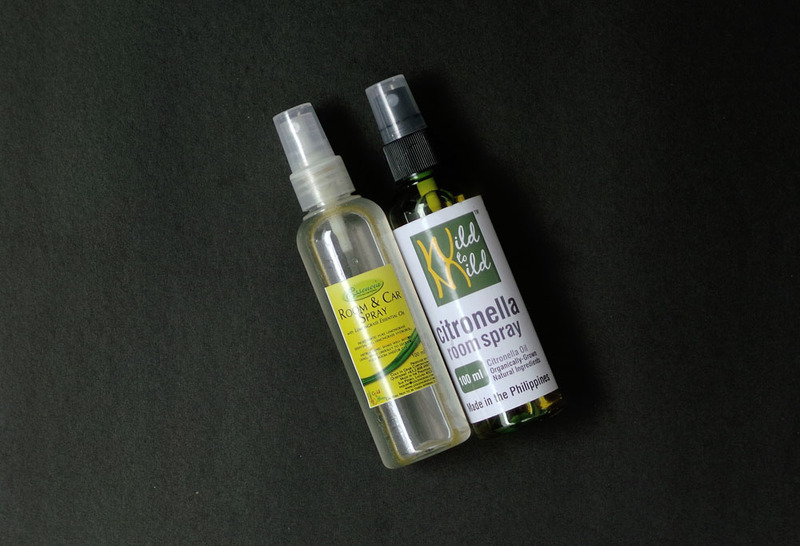 The citronella is from my publicist friend, who gave me a bottle of Wild to Mild’s organic room spray after working together for one of her clients. My mother gave me Essencia’s lemongrass room and car spray, which she bought in the bazaar at the Cuenca Community Park in Ayala Alabang. I strongly support locally-made products and was glad to know both are made in the Philippines. Citronella has a refreshing citrus scent. It’s a great way to start the day with this in the air because of its light aroma. Citronella doubles as an anti-depressant because it fights anxiety, sadness, and negative feelings. I’m also prone to mosquito bites so it helps, as the oil repels the insect. Lemongrass, on the other hand, has a heavier scent. It reminds you of Thai food, but I love Thai food! The smell is strong when you put your nose near the bottle, but it gently dissipates when you spray it, leaving only a faint and pleasant aroma. I like spraying it on my pillows a few minutes before lying down, because by then, it would have absorbed and what’s left is a delicious scent that makes me want to relax. Or eat Thai. Strangely, Wild to Mild’s online presence listed on the bottle doesn’t exist, but if you want to know where to get this, just leave a comment below. You may read more about Essencia’s lemongrass room and car spray here.